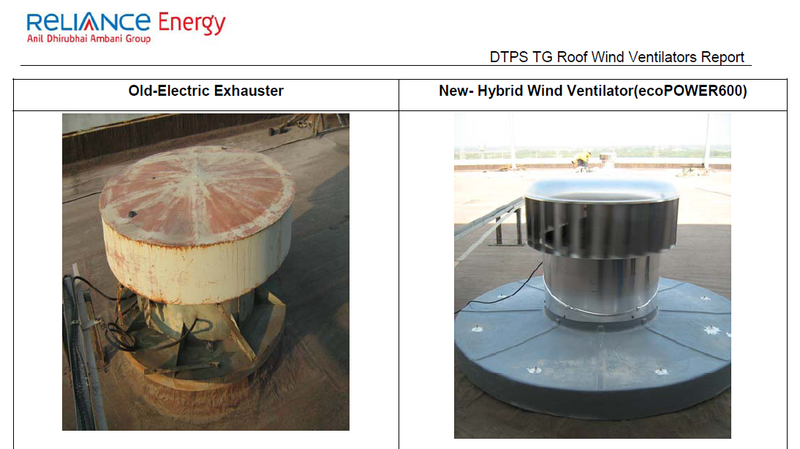 This shows the huge cost savings when a very old technology rooftop fan is replaced on the roof of a power plant in India. 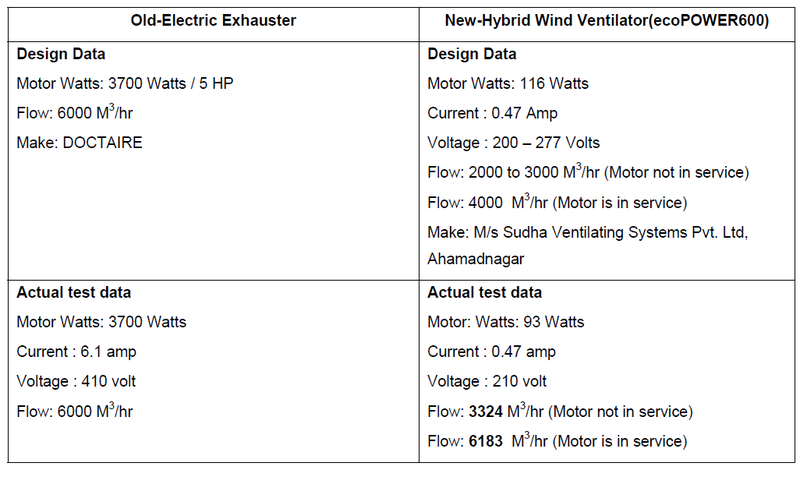 This is a picture of the two fans – the old 5 HP machine and the modern ecopower. Note that this is a 97.5 % reduction in power! Call us now to get a free analysis of the power savings we can offer you.